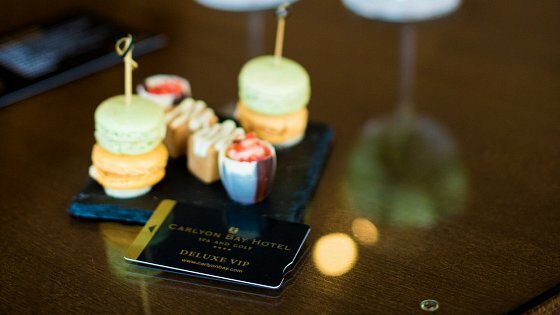 The Carlyon Bay Hotel has a truly unique location, perched above breathtaking cliffs overlooking St Austell Bay. Our Superior Sea Facing Rooms provide a tranquil haven for those looking to escape the hustle and bustle of everyday life. Watch the seagulls soar past your window or watch the sun rise over this beautiful Cornish bay. As you awaken in the morning, you can see the blue sea before you even lift your head from the pillow. These are experiences you will never forget.